5 Pricing Tips for Selling Your Home | Joe Hayden Real Estate Team - Your Real Estate Experts! You cannot change the location of your home and while you can make some changes to the condition of your home to prepare it for sale, there comes a point where it no longer makes economic sense to spend more money on a home you plan to sell. You also cannot control the market and the general needs of potential buyers, so take care to make sound pricing decisions to ensure that you can secure the best price and terms possible to sell your home. Tip 1 - If you have done your homework and feel strongly about your pricing strategy, don’t make any changes to your price once on the market until you have verified that your home is being marketed in a manner that will drive buyers to your home. In other words, don’t let the lack of interest in your home make you change your price until you are certain that buyers can find your home and that it looks great in the advertising. If the pictures or description are poor or if you cannot find your home on the most logical and popular online advertising sites, then fix that first and see what happens before changing the price. These days, buyers are not going to come to your home unless it is well marketed and if it is not being marketed as it should, that can fool you and make you think that the price is incorrect. Be alert for this and take corrective action. Tip 2 - Think like a home buyer when making final pricing decisions. If you were a typical home buyer in your area, would you think that your home was priced reasonably compared to other similar homes in the area? This is the time to be objective and to try to detach yourself from any sentimental or emotional attachment you have with your home and see it through the fresh eyes of a buyer. Tip 3 - Learn the importance of understanding the absorption rate in your area. Very simply, the absorption rate will give you insight into how quickly the market is absorbing the available housing inventory. For example, if the absorption rate in your neighborhood is 9 months, you will potentially have to be more competitive with your pricing than if the absorption rate is two weeks. You can calculate the absorption rate for your neighborhood by taking a time period, I suggest either 6 months or 12 months previous to the day you make the calculation, and finding the number of sold properties in that time period in your neighborhood. Then, find out how many homes are currently for sale in your neighborhood. Divide the number of sold homes by the time period you selected and keep track of the resultant. Then, divide the number of homes currently for sale by the resultant. This will yield you the number of months of inventory on the market and therefore give you a good indicator of the health of the market in your neighborhood. I will happily help you calculate the absorption rate for your home if you prefer. Tip 4 - Don’t get too stuck on price per square foot as a way to price your home. Make certain that you look at the average total sales prices in your area. 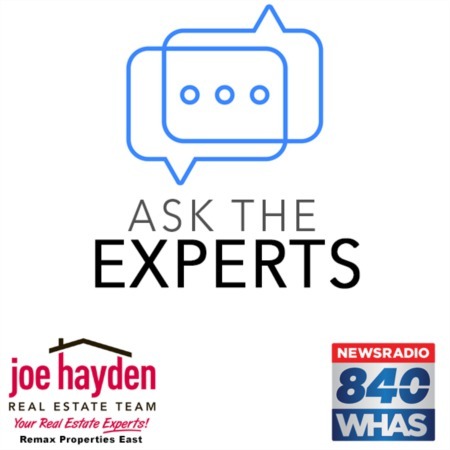 The biggest problem with using price per square foot as a way to price your home is that you do not know how the square footage of the homes you are using for comparison was calculated. This is a fact - the published square footage of homes that you find online either through the PVA system or MLS listings can be significantly in error and there is no easy way for you to determine which square footages are correct. Using a square footage in your calculation to determine pricing that is in error can result in an error of many thousands of dollars in pricing. Think about it, if you are just 25 sq. ft. off from the correct square footage and you use $100 per sq. ft. as your multiplier, you can price your home $2,500 high or low right off the bat. Increase the square footage error and the price error can significantly increase. Be careful when using price per square foot and make sure to use other ways to help determine your price as well. Tip 5 - Develop a pricing strategy. When pricing your home, yes, you should work hard towards determining a good starting point for pricing, but also consider developing an overall pricing strategy which can include a schedule of price reductions depending on how the market reacts to your home. For example, if you are not getting any showings after a reasonable time of the home being on the market, you may have your home priced too high. Remember our discussion about checking the marketing before making changes. In addition, your price may include an allowance for making concessions to the buyer for closing costs and it may include an allowance for known repairs or improvements needed in your home. Find out if other sellers in your area are offering or have paid at closing additional incentives. This will help you anticipate how a buyer may attempt to negotiate for your home in your area and you can make sure you allow some buffer and negotiating room for these types of concessions. Just be careful that you don’t price your home too high by adding in the anticipated allowances and therefore driving away potential buyers. I hope that you have found these 5 home pricing tips helpful. We use these tips, and more, all the time when listing homes and know that they work from experience.